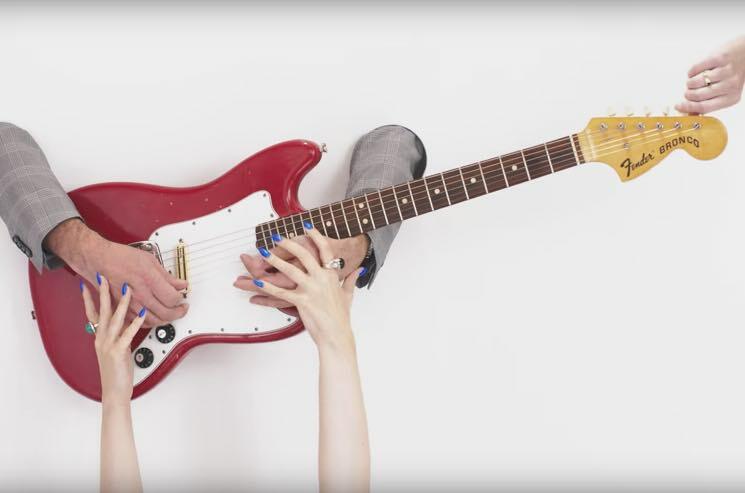 Ontario indie pop unit the Elwins returned with their latest LP Beauty Community last month, and now the four-piece have treated exclamatory album cut "Hey! Ya, You" to a video. The clip was directed by Zach Rose and Vanessa Heins, and it expertly utilizes an all-white set as a blank canvas for intricately choreographed hands. The band members even poke their hands through holes in the white walls, playing their instruments blind — but also with some extra help from spare fingers. Check out the video for "Hey! Ya, You" down below, and see the Elwins' upcoming tour dates with Fast Romantics over here. Wolfe Island Music Festival Announces 2019 "Winter Ball"